"We are excited to have Nantucket High School coming to play us. We’ve never competed against them in any sport, and we are gracious as they are traveling a long way, by land and sea." The lifestyles in the sleepy island town of Nantucket and the heart of big-city Boston are worlds apart. Their actual, physical locations, however, aren’t so distant. A mere 100 miles, albeit a good chunk of that consisting of the North Atlantic Ocean, separates the two divergent locales. Nantucket High School’s football team will, indeed, be traveling by sea and land on Saturday as it invades Boston to play Boston Latin High School in a 2:30 p.m. start at West Roxbury High School. In keeping with the game’s unique transportation theme, it’s only fitting that, because Boston Latin High School is the winner of the SportsEngine Comin’ Home Sweepstakes, the NBC Sunday Night Football bus will be visiting the game. "Boston Latin School is extremely excited to have the Sunday Night Football bus, NBC Sports, and SportsEngine at our game,” said Jack Owens, Boston Latin Leven Director of Athletics, “The BLS athletic department is always looking for unique ways to engage the whole community at sporting events and this will definitely achieve that goal. We are excited to have Nantucket High School coming to play us. We’ve never competed against them in any sport and we are gracious as they are traveling a long way, by land and sea. As the first public school in the United States, it is difficult to make history but this is certainly the first time in school history that our students have been able to experience something like this." SportsEngine, NBC Sports Boston and NBC10 Boston will all be in attendance, covering the event and providing giveaways, including a pair of tickets to Sunday’s New England Patriots versus Kansas City Chiefs game. Since Week 1, the SNF bus has traveled across the country to each SNF host city. The bus arrives in each host city two to three days prior to the game, making stops at local landmarks and events before heading to the game site. 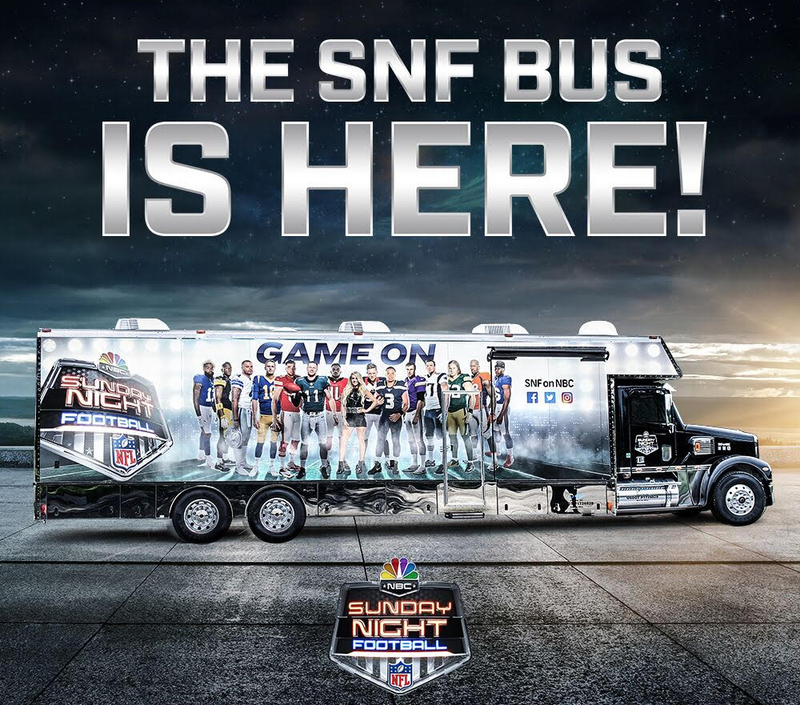 Read more about the NBC Sunday Night Football bus here.